The ASEAN Puppets Exchange Programme is an initiative of the ASEAN Puppetry Association (APA) coordinated by Artsolute Ltd, the Singapore member of APA. The ASEAN Foundation together with AirAsia are pleased to support the ASEAN Puppets Exchange Programme which was conducted in Lao PDR and Brunei Darussalam in late 2014. 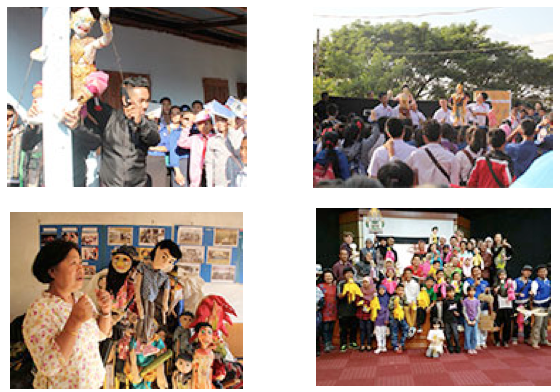 The ASEAN Puppets Exchange (APEX) Programme aims to develop an understanding, cooperation, and artistic collaboration between ASEAN’s puppetry artists for the purposes of supporting socio-cultural developments in ASEAN. The first APEX was held in Vientiane on 12 – 15 November 2014 and involved professional puppeteers from the Joe Louis Puppet Theatre, Thailand, and community artists from Jampalao, Lao PDR. Within the first two days, APEX participants learnt more about each culture and art forms including their puppet crafts, dance, song, training, education, technical, and management practices with one another. On the third day, the ten participating artists presented a combination of three performances into one performed by the Vulnerable Youth Development Association’s partner schools, Sathit Secondary. This included a presentation and a performance by Jampalao from Jampalao’s youth outreach programme and Joe Louis Puppet Theatre’s Hanuman performance with an introduction to Thai dance and performing the classic Thai song, Lao Duang Duan. Around 1,000 students witnessed the performance and were highly entertained and amused to see the combination of Lao and Thai traditional and contemporary works. Ms. Jodi Thiele, one of the facilitators from Singapore, said, “As part of the ASEAN Puppetry Association (APA) exchange, we hope to understand more of each culture and try to form one ASEAN with different puppets characters, music, and voices because story is the easiest way for people to know each other and feel connected”. The second APEX was held in Brunei Darussalam on 9 – 10 December 2014. The two-day puppet workshop was organized by the Brunei Arts Enthusiasts Association (PESTAB). More than 30 participants comprising of members of PESTAB, Language and Literature Bureau Youth Club (Muda Mudi), Putra Seni Group, Hope of Tomorrow Brunei Club, and others showcased their creativity and the skills they learned through the puppet show. The Chairman of the Executive Committee of the Workshop, Hj. Abdul Hakim Hj. Md. Yassin, thanked all the facilitators from Singapore and the invited delegates from Indonesia for their time and efforts to share their experience and knowledge regarding puppetry. He also gave a huge round of applause to all the participants particularly the youth and children who would be the next successors to continue this ASEAN cultural heritage for the new generation. This one-of-a-kind Workshop was designed as an opportunity for the participants to identify and gain knowledge on puppets theatre such as Shadow Puppets (wayang kulit), marionettes (that function with the pulling of strings), and traditional Chinese rod puppets. It was also aimed at developing the participants’ creativity in making their own puppets as well as performing it according to their own stories. The ASEAN Foundation and Air Asia will continue their support for APA in 2015. 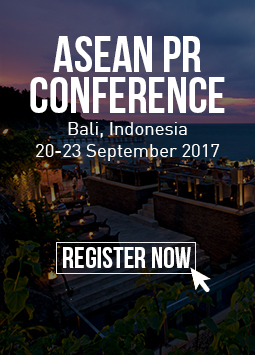 This initiative strongly supports ASEAN awareness and greater interaction among the peoples of ASEAN to support the community building process of ASEAN.